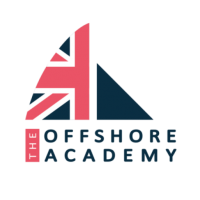 Following a busy 2017 season of racing around the French and British coastline including La Solitaire URGO Le Figaro and The Rolex Fastnet Race, The Offshore Academy sailors resume training, turning their attention to the 2018 season. With an intention to once again field multiple boats for the Class Figaro season and Solitaire race, The Offshore Academy continues to support and assist its sailors in promoting their development. With the 2018 Solitaire race moved to late August, the Academy sailors have some time to prepare and are making the most of the winter training opportunities in the UK. Hugh Brayshaw winner of the 2017 Solitaire Amateur prize, skippering ‘The Offshore Academy’ finds himself in a good position having won a free entry for the 2018 race. He will form part of the General Classification having given up his amateur status to concentrate on his offshore sailing full time. Hugh Brayshaw, said: “2018 will be my third season in the Figaro class, having competed as a Rookie in 2016 and as an Amateur this year I’m under no elusions that next year will have its challenges being ranked in the General Classification. Commenting on the winter training Hugh continues: It’s great being back out on the Figaro and training alongside fellow British Figaro sailors, we hope to make good use of the variety of conditions this time of year provides and look forward to moving to France in the New Year. Returning to the Class Figaro circuit for the 2018 season after a year away from the class, Nick Cherry will skipper Figaro #56 ‘Redshift’ in what will be Cherry’s 6th season on the circuit.